Happy Thanksgiving! 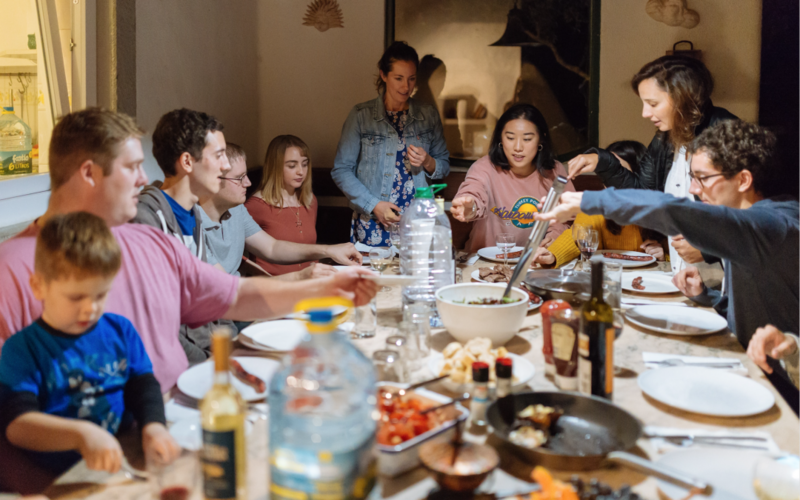 I hope you and your family are having a great holiday weekend. Since the trading action last week was volatile again, I wanted to share some thoughts and ideas to help you get ready for Monday morning. Now, let’s recap the damage from last week, and then get down to the fun business of this week’s potential stock ideas. Even though last week was short because of theThanksgiving holiday, there was a lot of action. It’s like we packed five days of trading into three and a half! Unfortunately for bulls though, it was sellers who were in control of the tape. 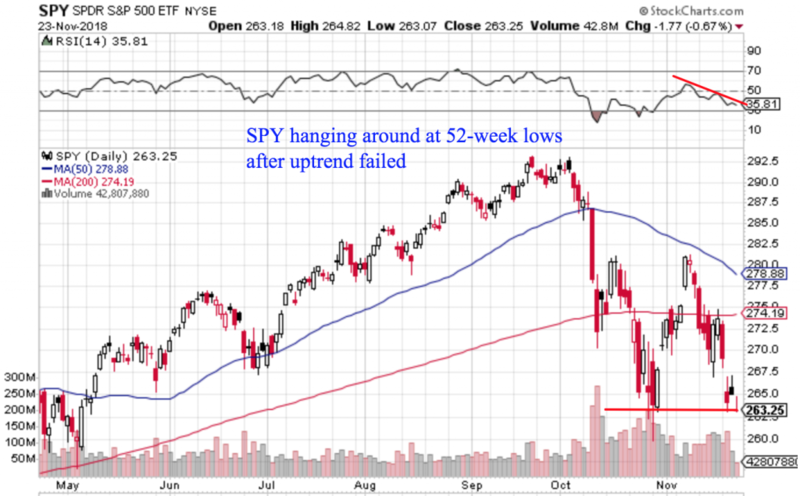 For now, I think the only good thing is SPY hasn’t made a lower low. But that might just be a matter of time. Because over in the world of tech stocks, things don’t look quite as good. The main difference you can see is how these leading tech names ended the Thanksgiving trading week below their October lows. This lower low is the kind of trend signal that keeps me open-minded to the idea of more downside ahead. So one thing I’ll be watching for in the week ahead is whether these prior lows act as overhead resistance now. And given the strength of the selling, I think this is a reasonable expectation. Plus, the idea of overhead supply doesn’t apply to just US stocks. With European indexes trending lower, the resistance above is also an overseas phenomenon. It also looks clear on many individual sectors, and especially on global stock market indexes. In my opinion, this is pretty stark when you consider the context. 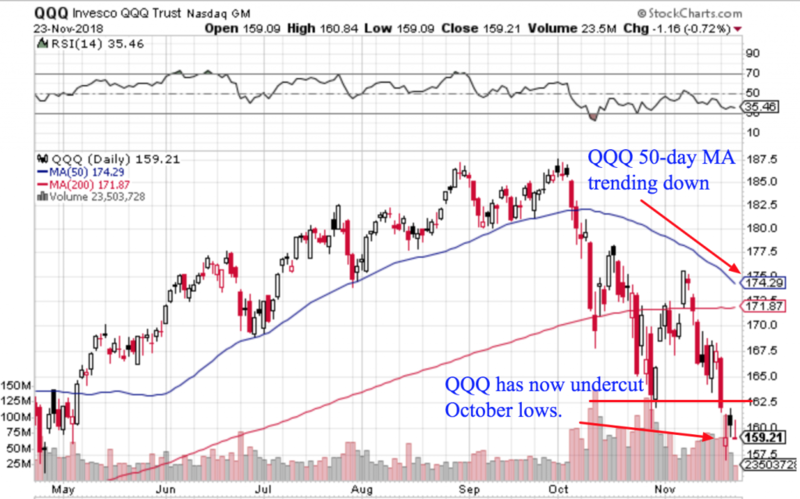 More specifically, after a 2-year uptrend from 2016-2018, the indexes consolidated sideways for a few quarters. A lot of shares changed hands in this time; and now, many of the new buyers are already underwater! Thus over the last month or so, I think the bull case has gotten more precarious. Because as you can see, after the initial breakdown, ACWI retraced to the prior trading range, but was rejected at support. While it hasn’t made a lower low yet, I’m watching for it. So overall, you can see I remain pretty cautious. 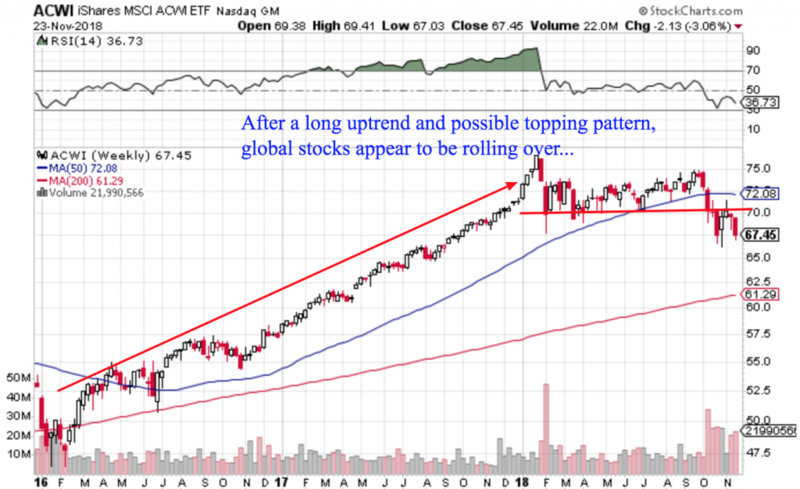 One potential bright spot are emerging markets, which, after a long downtrend all year have resisted putting in a lower-low and might be worth watching for a potential turnaround (though it still has lots of work to do to prove itself). Now, against this backdrop you’ll understand why I’m a little more cautious about buying breakout trade ideas right now. I have a cash position north of 60% and am really comfortable waiting for calmer waters. On the the other hand, it’s always good to have a watch list in case momentum comes back into the market. Okay, with the indexes trading near 52-week lows, there aren’t many stocks bucking that trend. So instead, I’m just looking for potential dip-buying candidates as well as those names that are holding near highs. This way, if we see a surge of buying come back into the markets I’ll hopefully be in the stocks that can bounce the most. In the current environment, any stock that’s holding above key moving averages is doing better than most. And TRCO is a good example of this. I think if it gets going above the recent highs you could consider jumping on, with a trailing stop $3.15 below your entry price. Keep in mind, in this kind of volatile market environment, honouring your stop-losses and keeping your position-size small should be a priority. I also prefer to wait for confirmation of a move higher, rather than buy now in anticipation of a breakout and risk tying up my money. 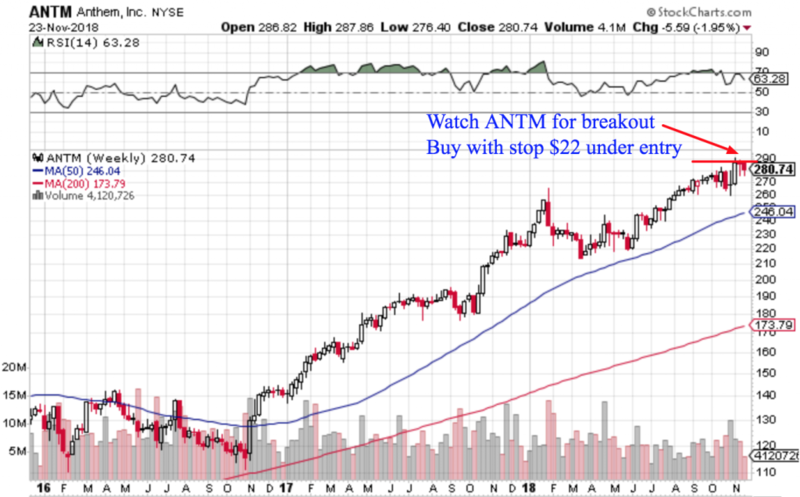 So again, if ANTM gets going again, I think it would generate a new buy signal. Until then, it’s just holding a spot on my watch list. 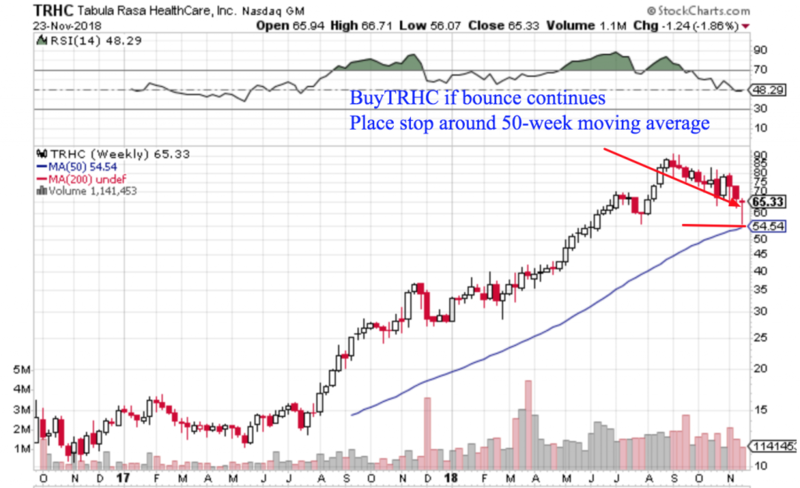 Another way to keep building out your watch list is looking for leading stocks that have pulled back to support There’s always a chance the uptrend can get going again! The pullback has been quick. And volatility is certainly still high. But if we see broad market follow-through this could be worth playing for a quick bounce. 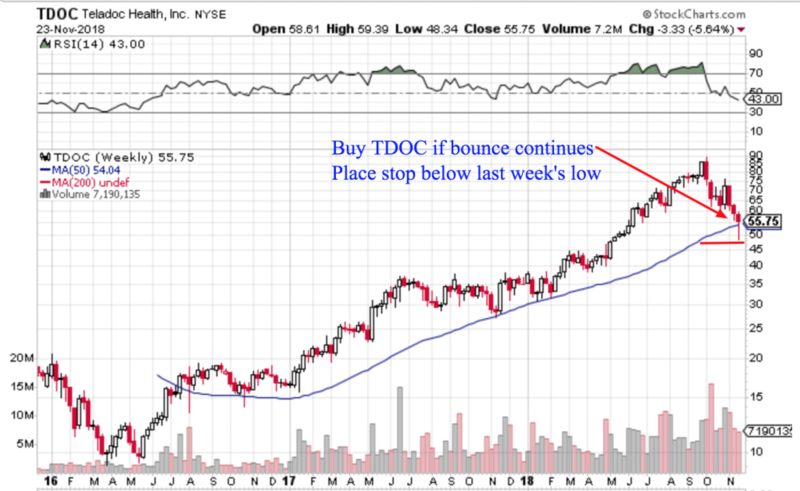 With any luck, this is another stock that could turn around on a dime and rally back towards new highs (and maybe beyond). Of course, I think it will need top-down market support. And I’d keep the position size small due to the big price swings we’ve been seeing. My criteria on the short side right now are nearly inverse what I look for in longs. I’d be selling stocks hitting new 52-week lows on big volume. Plus, a heavy balance sheet is another factor I like to layer on my screen, especially in this rising rate environment. So depending how this week goes, keep an open mind as there may be money to be made on either side of the market. I also want to share my existing trading positions with you. So here they are in a FinViz watch list! Take a look if you’re still itching for more potential trade ideas. I hope this helps give you more context on how I’m seeing the current market, and where I’m allocating capital. While I’ve obviously shown you some of my favourite picks for the week ahead, I can also teach you how to fish for your own trading ideas! Learn To Scan For Breakout Stock Picks this Thanksgiving! If you want to learn more about how I find these kind of stock picks, I encourage you to check out this Thanksgiving Breakout Trading Bundle. That’s because you’ll get two in-depth PDFs packed with everything I know about finding, buying and trading breakout stock picks. 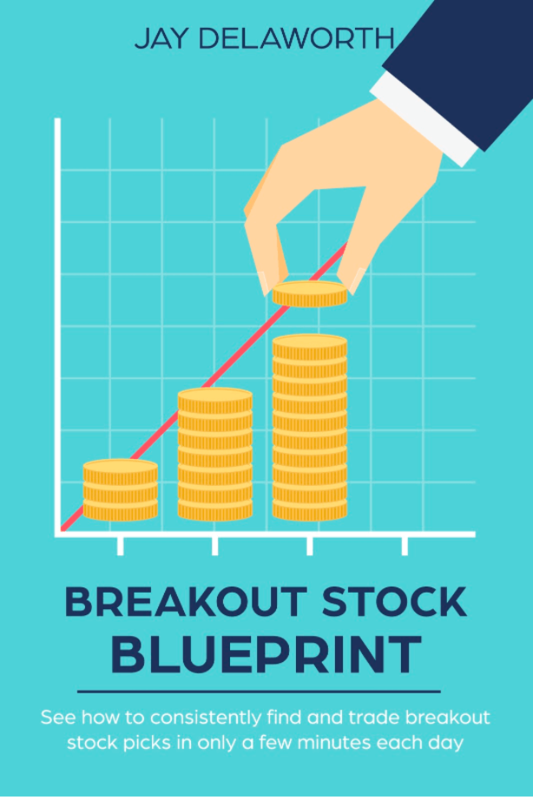 It contains my Breakout Blueprint, which shares the EXACT step-by-step process I use to find and trade stock picks each week (just like the ones above). If you want to see how to find high-potential-momentum stock picks, learn how to let your winners run and be confident about locking in profits, then this Bundle is for you! By the way, this bundle is only going to be available until Monday at midnight. So take a look right now! See The Thanksgiving Breakout Trading Special! Can This Bundle Improve Your Trading? 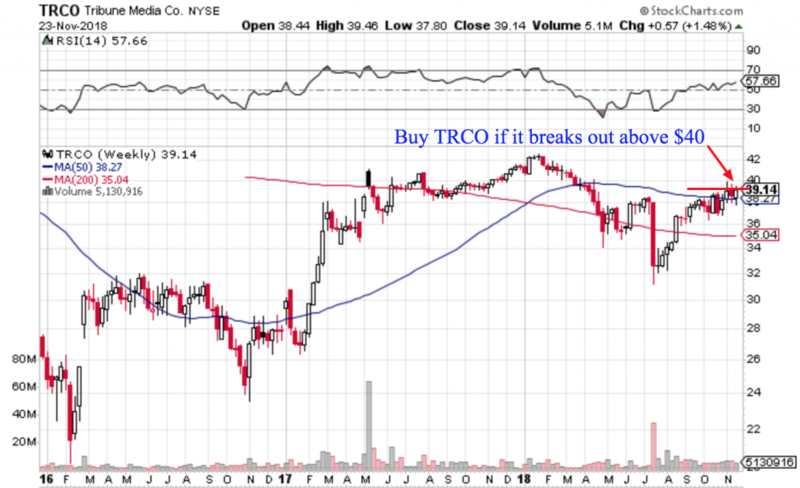 Learn how I find, buy and sell breakout stock picks… in under an hour each day!